This year marks the centennial of Louis Pasteur’s death, occasioning a series of events organized by UNESCO and the Pasteur Institute to celebrate his many contributions. When one thinks of the famous names associated with the history of medical science, certainly Pasteur ranks among the greatest. 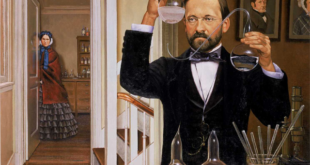 Trained as a chemist, Pasteur’s phenomenal success in diverse fields of research is remarkable. In his 73-year life span, Pasteur distinguished himself as a teacher, patriot, scientist, and family man. His studies on crystallography, fermentation, diseases of wine and beer, spontaneous generation, silkworm disease, cholera, and anthrax were no less significant than was his work on rabies. However, the rabies work was Pasteur’s crowning glory and established his reputation. Pasteur was 63 when he first treated a patient for rabies, and he was in poor health from overwork and the effects of a stroke suffered at age 46. 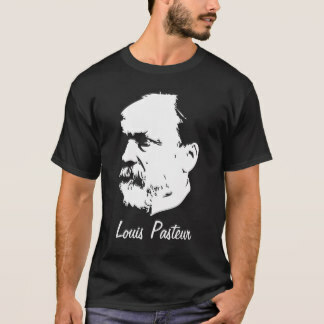 But Pasteur was already a hero in France and beyond. teur Award in 1948, which each year recognizes an individual who has made an outstanding contribution to microbiology. Pasteur’s early years in school were not particularly remarkable. 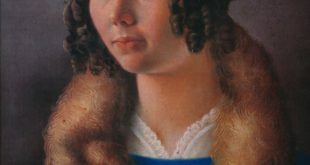 He was an average student with a fondness and a talent for painting; he did not display brilliance. Sent at 16 to Paris to prepare for college, he quickly became homesick and returned home. Eventually, he studied chemistry and graduated but without distinction. However, this mediocrity soon gave way to academic success at the Sorbonne in 1842-1843. He wrote in a letter, “Once you have got into the way of working you cannot live without it. 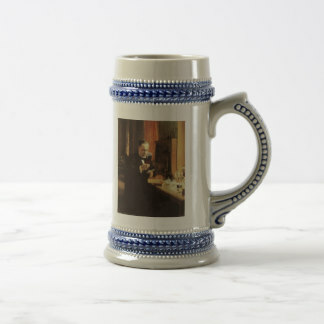 Besides everything in this world depends on it.” This strong work ethic remained with Pasteur throughout his lifetime and, undoubtedly, contributed to his success. In 1863, at the command of Emperor Napoleon III, Pasteur undertook studies of “diseases” of, wine and showed them to be caused by microbial activity. His cure was simple-“heat to 50°-60”C”-a process now called pasteurization and applied to many foods, particularly milk. In 1865, at the request of the French Government, Pasteur began studying the diseases of silkworms, a problem that threatened to destroy the European silk industry. Within five years Pasteur not only solved the problem but established preventive measures. Despite these professional successes, these years were difficult personally for Pasteur, with the deaths of his father and of two of his daughters, Camille at the age of 2 and Cecile at 12, due to typhoid fever. His own health was not good, and he was worn by the ongoing controversy over spontaneous generation and his compulsion to work under primitive conditions. During this period, Pasteur wrote to Emperor Napoleon III requesting financial support for a new laboratory: “I wish to have a much larger laboratory to which would be attached a wing where experiments on putrid and infectious diseases could be carried out without endangering the public health.” Pasteur’s request for a larger laboratory for experiments on infectious diseases represents a turning point to interest in human diseases. I do not know whether the records of British surgery ever meet your eye. If so, you will have seen from time to time notices of the antiseptic system of treatment, which I have been labouring for the last nine years to bring to perfection. Allow me to take this opportunity to tender you my most cordial thanks for having, by your brilliant researches, demonstrated to me the truth of the germ theory of putrefaction, and thus furnished me with the principle upon which alone the antiseptic system can be carried out. In the early 1870s Pasteur was well renowned and respected in France and beyond by the scientific community but was regarded as a “mere chemist” by the medical establishment, which had difficulty accepting the germ theory of disease. Nevertheless, in 8 years, Pasteur developed immunizations against fowl cholera, anthrax, swine erysipelas, and rabies, all of which helped to promote the germ theory of disease. The anthrax work began in 1887; anthrax killed from 25 to 30% of sheep in France and in some parts of Europe had been epidemic, attacking humans as well. Koch had isolated the bacillus in pure culture. 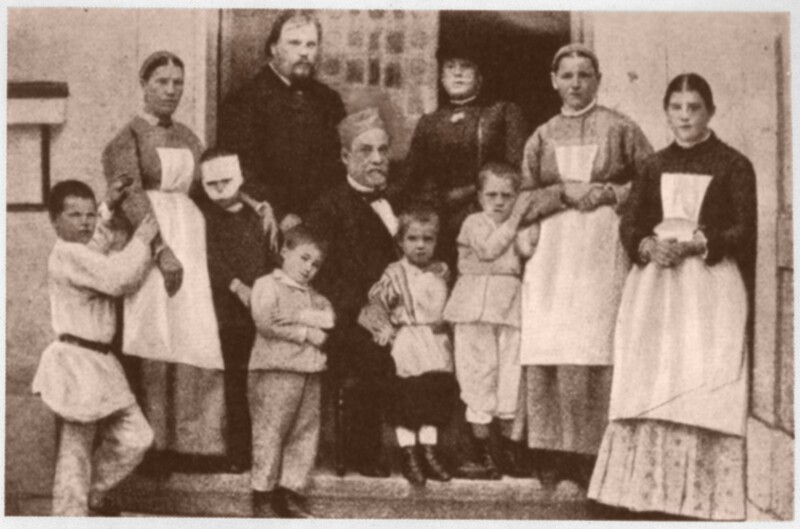 Pasteur confirmed Koch’s work and in the spring of 1881 at a farm in Pouilly-le-Fort, Pasteur dramatically demonstrated the effectiveness of his anthrax vaccination, when the vaccinated flock remained well while the unvaccinated animals died. The anthrax studies followed on the heels of Pasteur’s paper on the immunization of fowl against cholera. Jenner established immunization against smallpox. Almost 90 years after Jenner established immunization against smallpox, the first human immunization against rabies took place, and this treatment established Pasteur as a popular hero. Which specific event led Pasteur to study rabies is not known. One story describes how, as a young boy, Pasteur had witnessed the agonies of a victim bitten by a rabid wolf; the victim was undergoing cauterization of wounds with a red-hot iron. Rabies is considered one of the most dread diseases, and stories of this terrifying disease trace to antiquity. One of Homer’s warriors called Hector a “mad dog.” Another ancient, Celsus, described the horror of this disease in vivid terms: “The patient is tortured at the same time by thirst and by a revulsion toward water.” By Pasteur’s time, cauterization was the common and equally terrifying treatment; long, heated needles were inserted deeply into bite wounds, even those on the face. Another practice was to sprinkle gunpowder over the wound and set a match to it. Pierre Victor Galtier, a professor at a veterinarian school in Lyon, preceded Pasteur in vaccinating sheep against rabies by using saliva from rabid dogs. Galtier’s studies served as the groundwork for Pasteur’s work. Galtier received many honors for his work and was nominated for a Nobel Prize in 1908, but he died a few months before the Nobel Commission decision. 6 July 1885 proved a momentous day for Pasteur and medicine. On that day, Joseph Meister, a g-yearold Alsatian boy, was brought to Pasteur’s laboratory following a savage attack two days earlier by a mad dog. He suffered 14 wounds, some very deep, which had been treated with carbolic acid. The boy’s doctor, recognizing his patient’s peril, urged the boy’s mother to plead with Pasteur in Paris that her son might be given the vaccine. 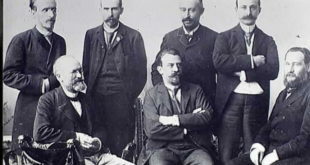 Pasteur consulted with colleagues at a meeting of the Academy of Sciences. Pasteur noted in a later article. Meister received 13 inoculations of Pasteur’s vaccine over the next 10 days and survived. During the treatment, Pasteur was prey to anxiety. Mme. Pasteur wrote: “My dear children, your father has had another bad night; he is dreading the last inoculations on the child. And yet there can be no drawing back now. The boy continues in perfect health.” Pasteur kept in touch with the boy through the years; it appears that he was like a second father to Meister. Meister later worked at the Pasteur Institute; in 1940, 55 years after the accident that gave him a lasting place in medical history, he purportedly committed suicide rather than open up Pasteur’s burial crypt to German invaders. Jean Baptiste Jupille, age 15, was the second human rabies case treated by Pasteur. The shepherd boy was brought to Paris 6 days after being bitten by a rabid dog, which he heroically subdued to protect his five companions. Despite this delay before treatment, he survived. His act of bravery is commemorated with a statue (see cover) now standing at the Pasteur Institute. By October 1886, 15 months after Joseph Meister was first treated, 1,490 individuals had received the rabies vaccine. Patients from all over the world flocked to Paris, including four boys from Newark, N.J., who had been bitten by a mad dog. These boys, from poor families, were sent to Paris by means of a public subscription organized by the New York HeraZd. 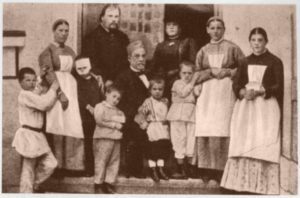 Other accounts from that period indicate Pasteur’s laboratory was crowded with rabies victims who came for lifesaving inoculations from Europe, Russia, the Middle East, and elsewhere. In response to a request from Odessa, Russia, Pasteur sent two rabid rabbits for use in establishing a rabies vaccine laboratory; on 1 June 1886, Pasteur’s antirabies treatment was administered by a Russian on Russian soil for the first time, after which thousands flocked to Odessa from Siberia, Turkey, and other countries. The name Pasteur became increasingly familiar. Caricatures of him appeared frequently in newspapers, sometimes with political overtones. The French Academy of Sciences supported a move to establish the Pasteur Institute in Paris. About 2 years later, on 16 November 1888, the institute was opened with considerable fanfare. But its director was ill and weary. He spent much of his time with his wife and supervised the Hydrophobia Clinic as much as his strength would allow. Pasteur’s 70th birthday was celebrated on 27 December 1892 in the great theatre of the Sorbonne amid other celebrities, including the president of the republic, delegates from French and foreign learned societies, professors, colleagues, and other distinguished scientists such as Roux, Duclaux, Chamberland, and Metchnikoff. Tributes to Pasteur flowed. Lister, representing the Royal Society of London and Edinburgh, said to Pasteur, “You have raised the veil which for centuries had covered infectious diseases; you have discovered and demonstrated their microbian nature.” Pasteur rose and embraced Lister. The dean of the Paris Faculty of Medicine declared, “More fortunate than Harvey or Jenner, you have been able to see the triumph of your doctrine, and what a triumph!” The president of the student association said to Pasteur: “You have been very great and very good; you have given a beautiful example to students.” Pasteur, overcome by emotion, asked his son to read his remarks. Over the next few years, Pasteur saw several of these students continue with success in microbiology. Roux and Yersin studied diphtheria; Yersin later studied plague in China, and Metchnikoff described phagocytosis. However, Pasteur’s own health continued to fail; his paralysis worsened and his speech was difficult. He died on 28 September 1895. The world mourned him and continues to honor his name.